Let’s face it—most people who attend hi-fi shows don’t make the trek there to attend live concerts. Musical performances at shows are usually limited to solo performers who have recorded on niche audiophile labels where the biggest selling point is often the label and its recording process. 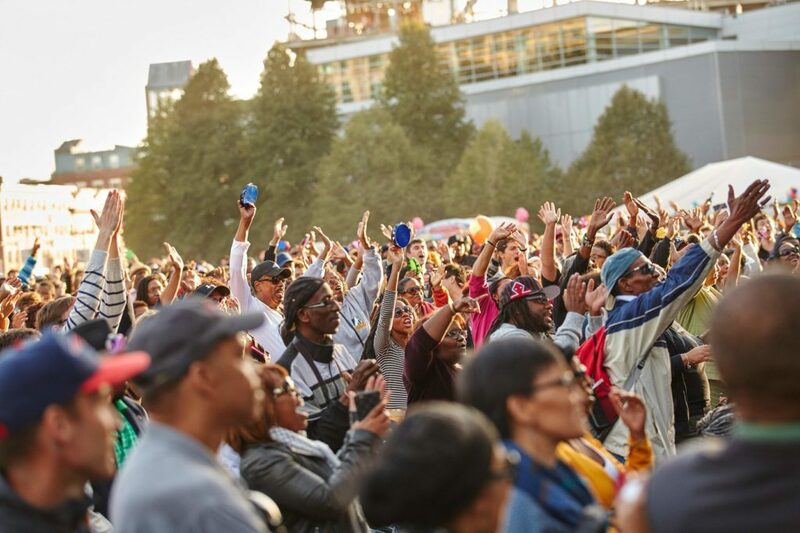 Performers who have contracts with Universal, Sony, Blue Note or ECM are not in the habit of performing for a bunch of tired audiophiles, who pay nothing at the door and show up for the concert if they feel like it. In that context, when I learned that Nordost was presenting a concert of jazz musicians from the Newvelle record label, I was excited. When I saw the list of performers, my jaw dropped. On trumpet was Dave Douglas. 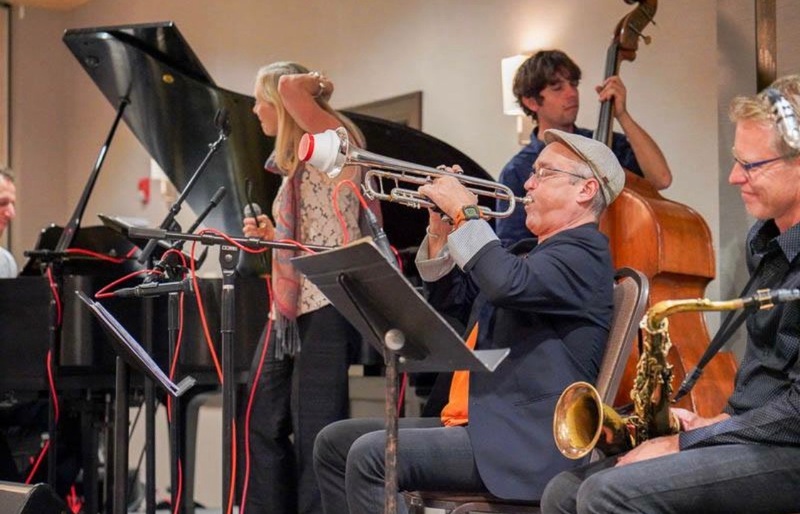 I’ve attended many Dave Douglas concerts over the last twenty plus years, dating back to his days with John Zorn, and own many CDs he’s recorded as a leader. 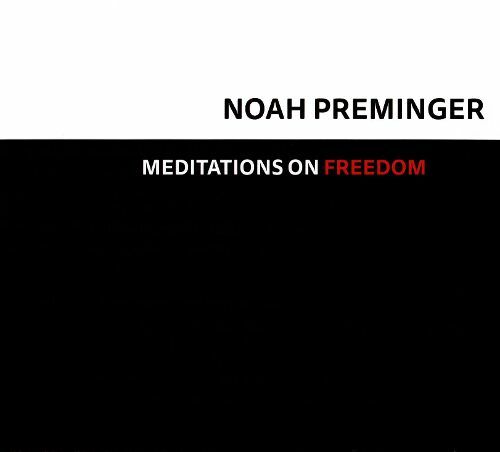 Elan Mehler, co-founder of Newvelle Records, played piano at this session and his style has become familiar to me over the label’s three seasons of uniformly great releases. I knew little of New York based acoustic bass player Simón Willson, except for his contribution to Newvelle’s Piano Noir LP. However, I got together with the band the evening before the concert, and couldn’t take my eyes off Simón, whose energy was infectious. 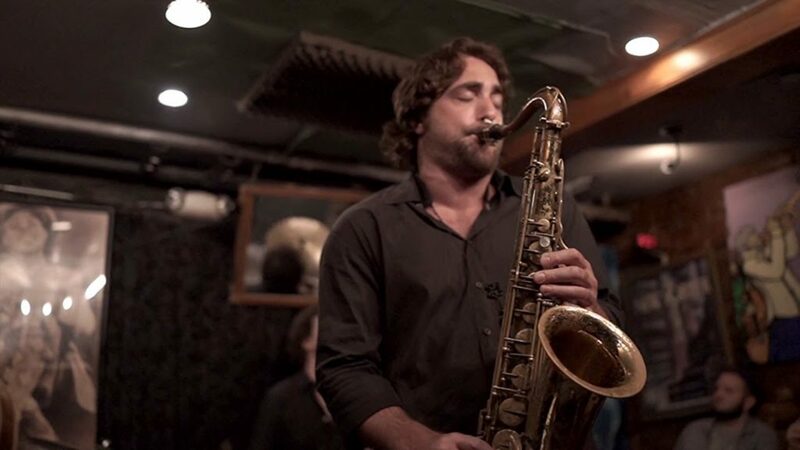 John Gunther, composer and multi-instrumentalist (saxophones, clarinet and flute) has recorded extensively as part of New York’s “downtown” jazz scene. 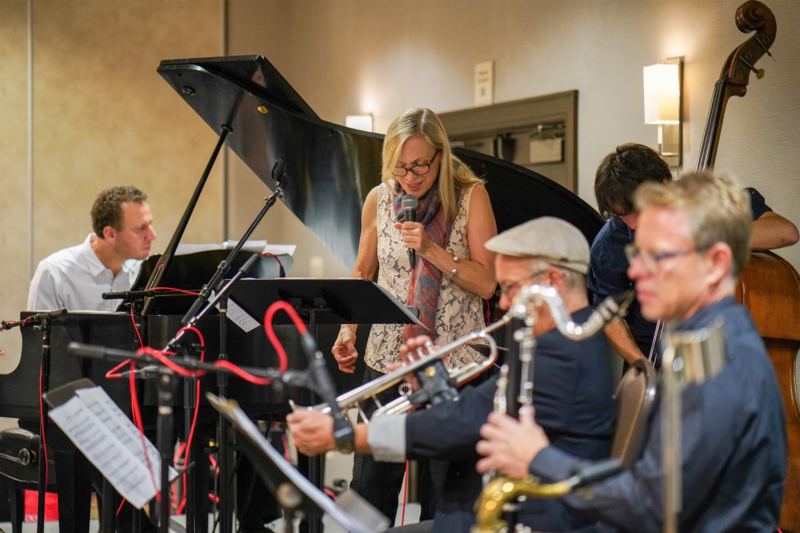 As associate professor at University of Colorado Boulder, and director of their jazz studies program, he was the group’s local performer for the concert, and had warmed up the ensemble the day before at a campus workshop. Singer Dominique Eade recorded twice with Ran Blake, and I loved her well-received 2017 CD, Town and Country. In addition to a long career as an instructor at New England Conservatory, she has an extensive catalog of recordings. For those new to this record label, Newvelle issues a new record every other month, sold as a yearly subscription. Each LP is a work of art—the clear vinyl LP is packaged in a beautiful foldout cover, embellished with commissioned artwork and prose, and is supported by extensive information on the label’s website (www.newvelle-records.com). I’ve heard every record released over the last three years and Newvelle’s consistency of high quality is unequaled in today’s music industry. Watch out Blue Note and ECM! The concert was held at the Denver Tech Center Hilton Garden Inn, in a large high ceiling room where I had attended other events. I recalled fairly poor sound at those non-musical events that had involved a PA system. Fortunately, Nordost arranged for a professional sound engineer to set up the room and sound system. He brought in a very high quality sound system and mixing board and the results were spectacular, turning a pig’s ear room into a very good sounding hall. The stage itself was a little small for the group, and had an effect on my ability to capture good pictures, but the players adjusted well to the somewhat cramped space. 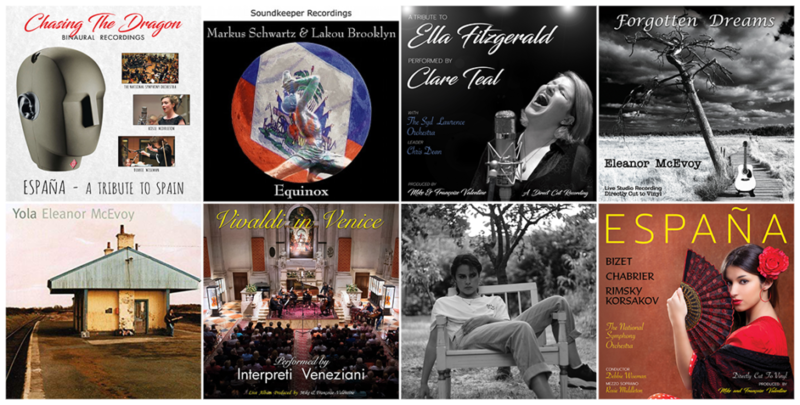 Nordost has installed its professional cabling at the New York recording studio where Newvelle Records records all its sessions, Eastside Sound. 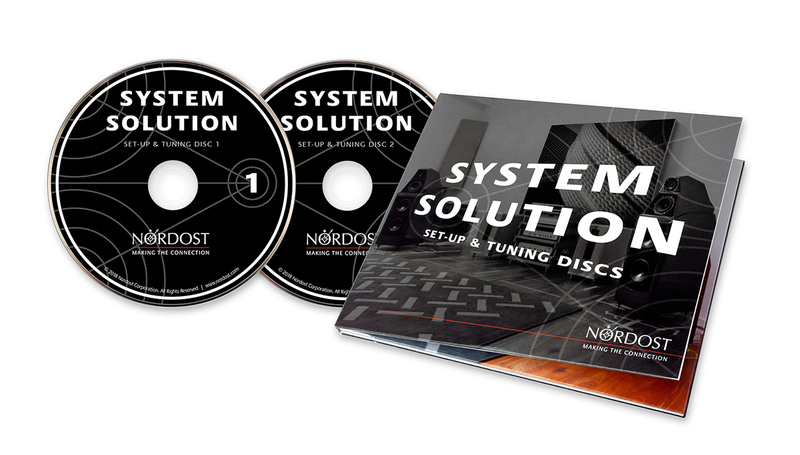 Beginning with Newvelle’s fourth season, all recordings will be made through Nordost cables. I’ve reviewed the first three seasons for various publications, and look forward to comparing the sound of the new studio recordings. In the meantime, Newvelle’s artists are getting the additional exposure from the Nordost involvement. 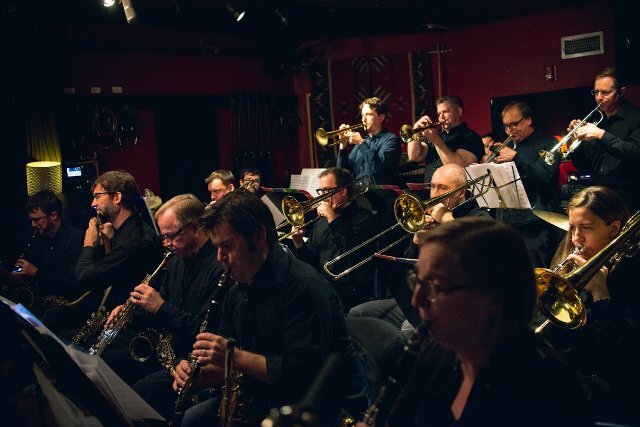 The concert featured never before heard compositions from Dave Douglas, as well as material from Newvelle’s LP “Piano Noir”, and material from its third season. 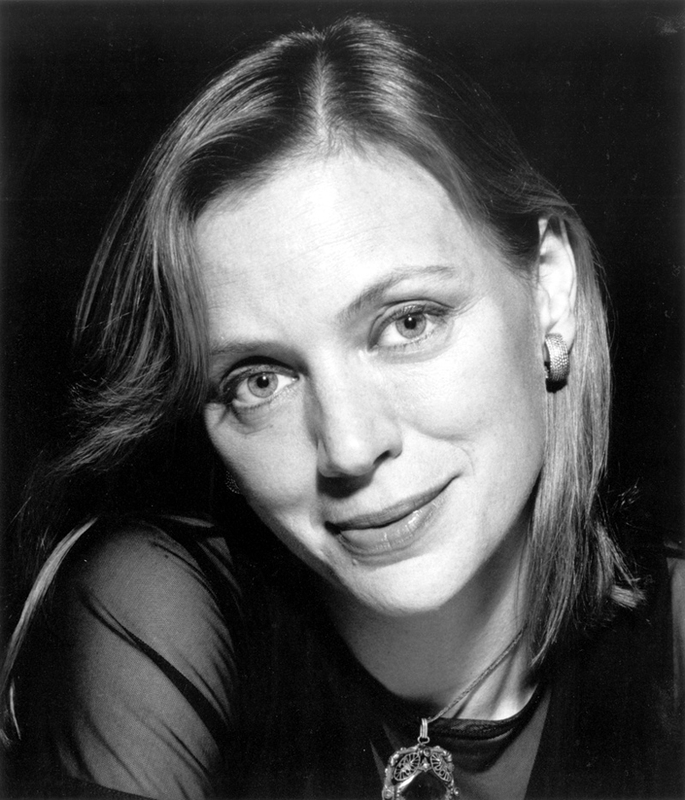 In Elan Mehler’s words, the band, “is dancing between some basic intersections of style and genre—jazz and folk music, poetry and improvisation, prose and composition.” They opened with a composition from American folk music singer/songwriter Jean Ritchie, an Appalachian song “West Virginia Mine Disaster” recorded by Dominique Eade on her most recent CD Town And Country (Sunnyside). Next up was “Bear It To Heart” from the “Piano Noir” LP, that featured Elan Mehler and Simón Willson from this group. The group then launched into a Douglas composition taken from a Jack Kerouac haiku, “Arms folded to the Moon”. I confess that until the middle of the concert I hadn’t recognized vocalist Dominique Eade, but by this third song of the concert, it hit me. Her resemblance to vocalist Jeanne Lee on The Newest Sound Around (RCA LPM-2500 with pianist Ran Blake) was immediately obvious. I slapped my head over my short memory. I own two of her CDs and am a big fan. That third song mesmerized me. The composition, Eade’s singing, and the bands’ excellent ensemble playing had me laying down my pad and pen for the rest of the concert. True, my hands were engaged in taking photographs, but I was captivated. 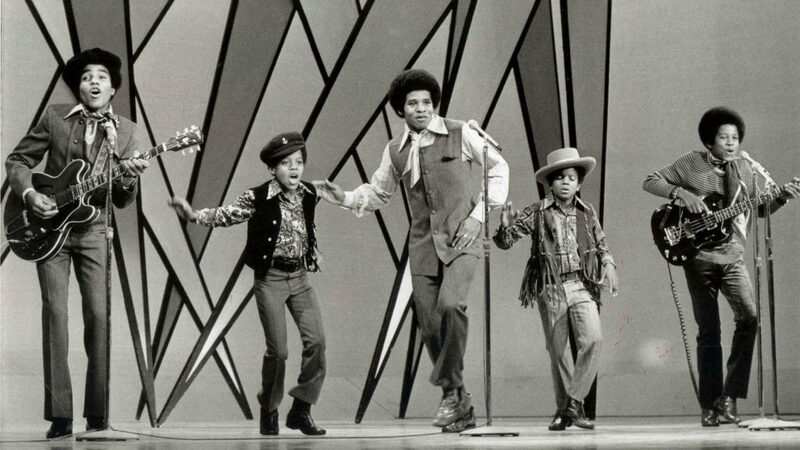 This was a performance far above those typically found hi-fi shows. 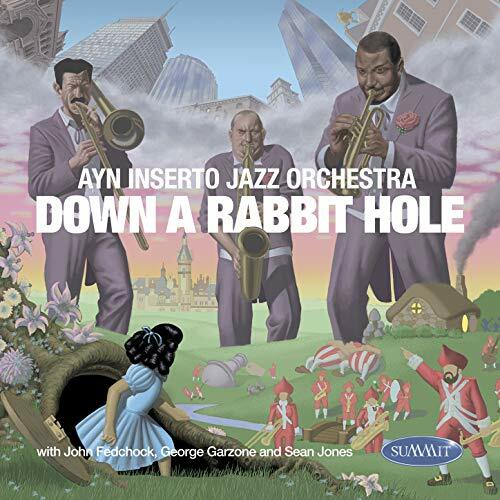 I searched my memory for comparisons and the only hi-fi show concert I could recall was at a show in New York well over a decade ago, featuring saxophone great Joe Lovano. But merely comparing it to hi-fi show concerts is selling it short. I attend concerts (most frequently in the San Francisco Bay area) on a regular basis and jazz concerts at least a few times monthly. This concert was among my favorites of this year, and one I will not soon forget. It sent me home to listen to my Newvelle Records LPs and Dave Douglas and Dominique Eade CDs. What more can you ask for from a great concert? Nordost is bringing a live jazz performance to RMAF! This year at the Rocky Mountain Audio Fest, Nordost is excited to bring you a live music experience that you won’t want to miss! 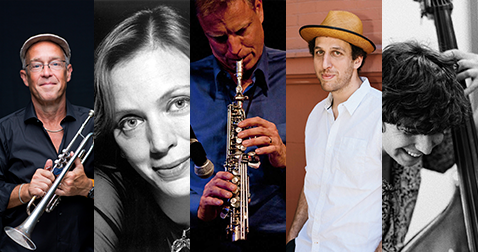 For two shows only, Nordost is sponsoring the debut of a new ensemble, featuring music from Elan Mehler’s Newvelle release, “Piano Noir”, and presenting some never-before heard works from Dave Douglas. 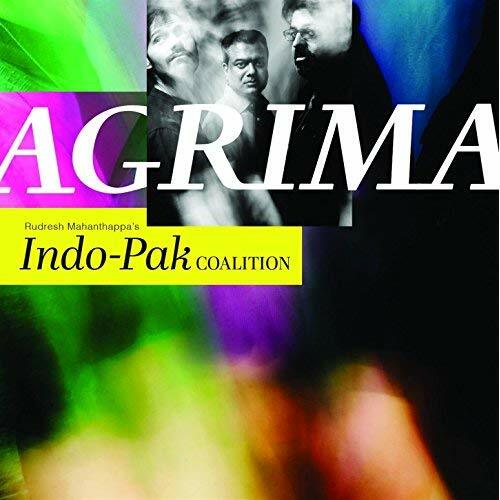 Enjoy as the band dances between intersections of style and genre, making for a unique mix of jazz and folk music, poetry and improvisation, prose and composition. The concert will be held across the street from the show at the Hilton Garden Inn. Head over for either the 2pm or 6:30pm show on October 6 for this special musical performance! 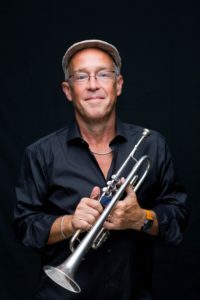 Dave Douglas is a prolific trumpeter, composer, educator and entrepreneur from New York City, known for the stylistic breadth of his work and for keeping a diverse set of ensembles and projects active simultaneously. 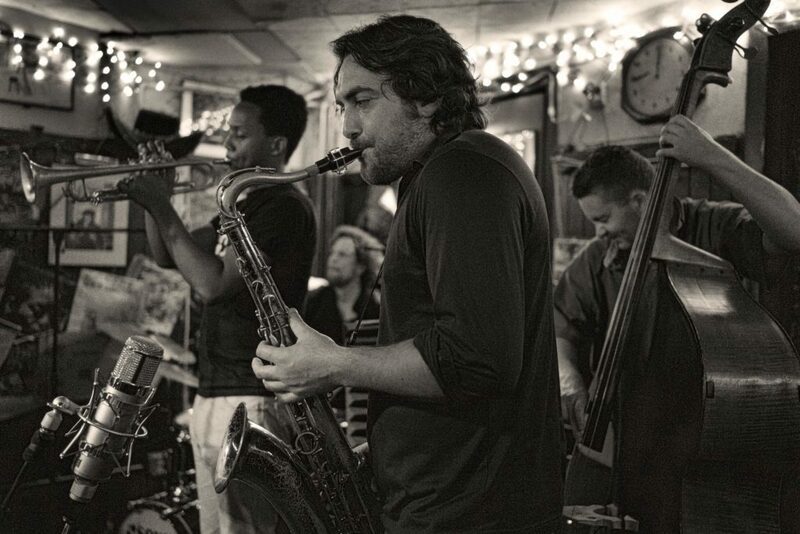 While his career spans more than 50 recordings as a leader, his active projects include his quintet, Sound Prints, Riverside, Present Joys, and High Risk. His unique contributions to improvised music have garnered distinguished recognition, including a Doris Duke Artist Award and two GRAMMY® nominations. 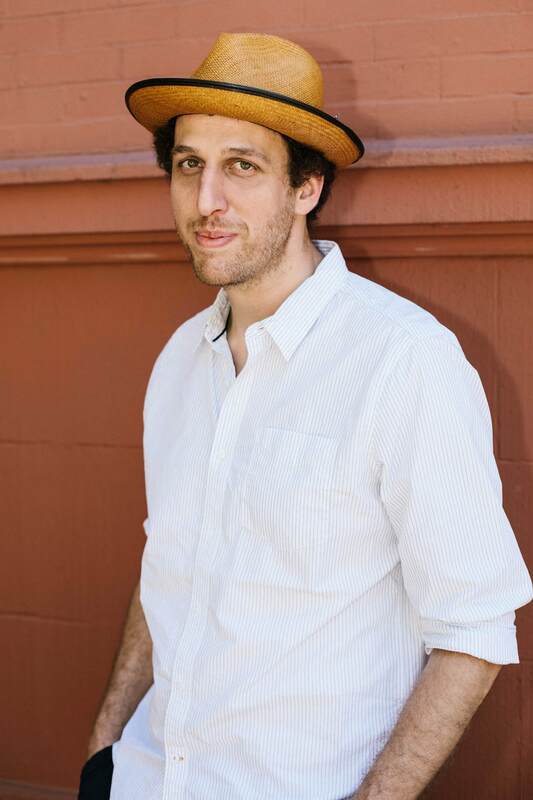 As a composer, Douglas has received commissions from a variety of organizations including the Trisha Brown Dance Company, Essen Philharmonie, The Library of Congress, Stanford University, and Monash Art Ensemble. 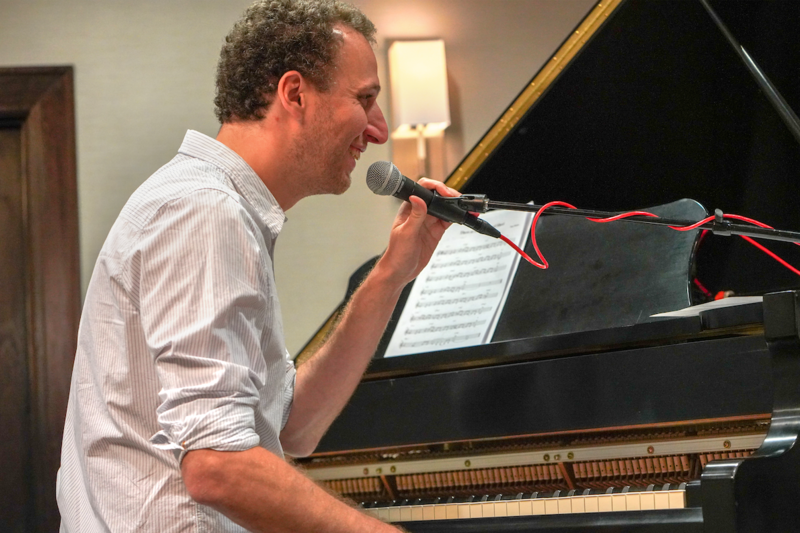 He is currently on faculty at the Mannes School of Music and is a Guest Coach for the Juilliard Jazz Composer’s Ensemble. Douglas is also a co-founder and president of the Festival of New Trumpet Music and Artistic Director of the Bergamo Jazz Festival. 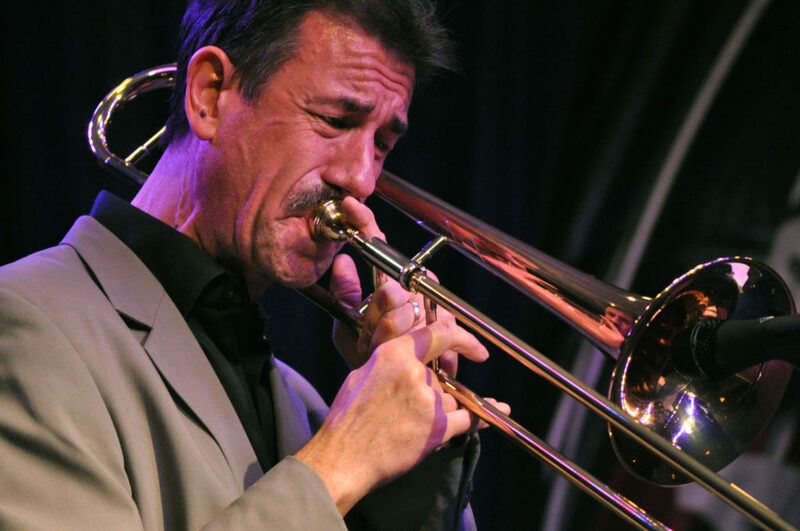 In 2005, Douglas founded Greenleaf Music, an umbrella company for his recordings, sheet music, podcast, as well as the music of other artists in the modern jazz idiom. 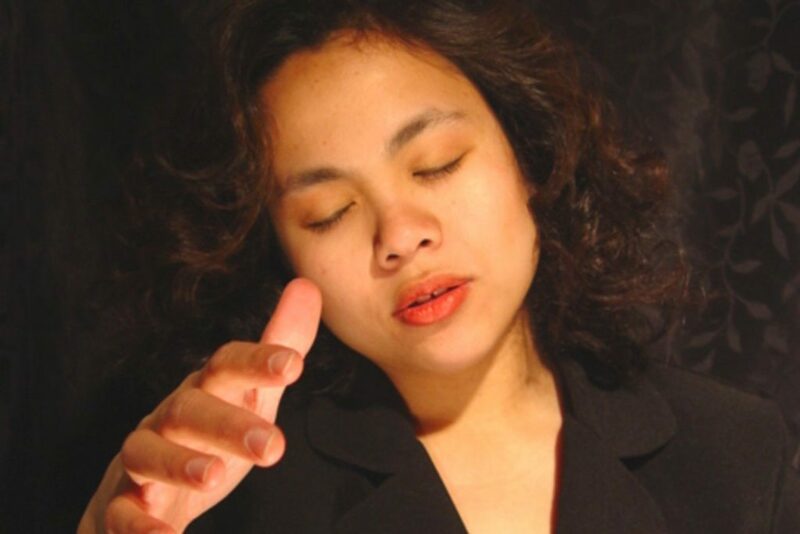 Dominique Eade is a vocalist, improviser, and composer whose wide-ranging work with artists from Anthony Braxton and Ran Blake to Stanley Cowell and Dave Holland over the past three decades has earned critical recognition from Down Beat, The New York Times, Jazz Times, Entertainment Weekly, The Atlantic Monthly and many other publications here and abroad. She has recorded seven CDs under her own name, including two for RCA Victor. A frequent nominee and two-time winner of the Boston Music Awards, she was nominated for best new artist by the First Annual Jazz Awards (New York) in 1998 and was voted one of the top ten for Best Jazz Singer and was in the ‘Rising Star’ category in multiple Downbeat critic’s polls. 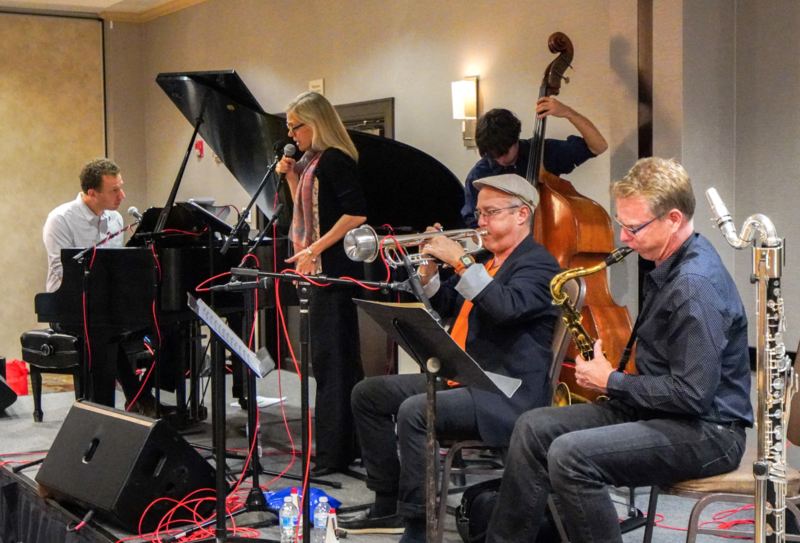 Eade’s most recent recording, “Town and Country (Sunnyside)”, was named one of the top ten recordings of 2017 by critics in the Jazz Journalists Association, The Boston Globe, NPR Jazz Critic’s Poll, and many others. Her performance with Ran Blake at the Park Avenue Armory was named one of the ten best performances of 2017 by the New York Times. In 2007, she received the Outstanding Alumni Award from NEC where she has been on the faculty since 1984. Her students include Grammy winners Luciana Souza and Sara Jarosz, Roberta Gambarini, Rachel Price (Lake Street Dive), Sara Serpa, Michael Mayo, Jo Lawry (Sting), Akenya Seymour (Chance the Rapper, Noname), Sofia Rei, Aoife O’Donovan (I’m With Her, YoYo Ma), Richard Saunders (Third Story), and many others. John Gunther is a composer and multi-instrumentalist who plays the Saxophone, Clarinet, and Flute. 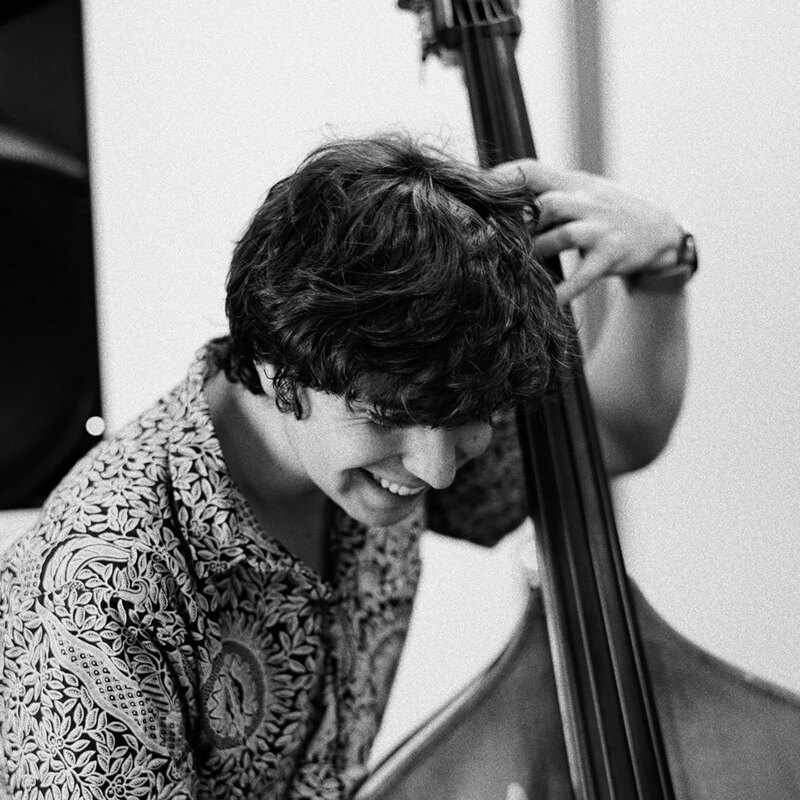 With a restless musical spirit, he enjoys exploring all forms of jazz, from traditional to avant-garde, as well as classical music, world music, and experimental electronic music. 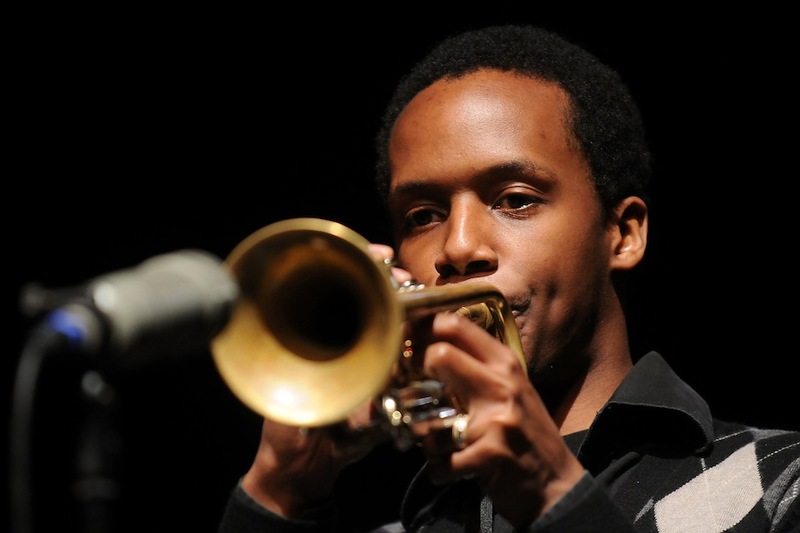 He has performed or recorded with many notable jazz artists including Dave Douglas, Ron Miles, Christian McBride, Bobby Watson, Wallace Roney, Larry Goldings, Tom Harrel, Dewey Redman, Joe Williams, The Woody Herman Orchestra, the Vanguard Jazz Orchestra, and The Maria Schneider Orchestra. 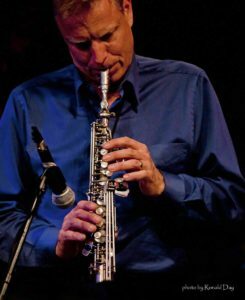 As part of New York city’s “downtown” music scene for many years, he produced five recordings for Creative Improvised Music Projects (CIMP) and is co-founder of the contemporary jazz ensembles, “Spooky Actions” and “Convergence.” John is an Associate Professor in Jazz Studies at the University of Colorado at Boulder, where he directs the Thompson Jazz Studies Program. He received his Ph.D. from New York University, where his research examined incorporating techniques of serial music with improvisation. In 2007, he received an “Innovative Seed Grant” to create the Boulder Laptop Orchestra and to further explore the intersection of music, performance, art, and technology. His work with BLOrk has led to further collaboration with the STEM program at CU, exploring informal science education through the arts. 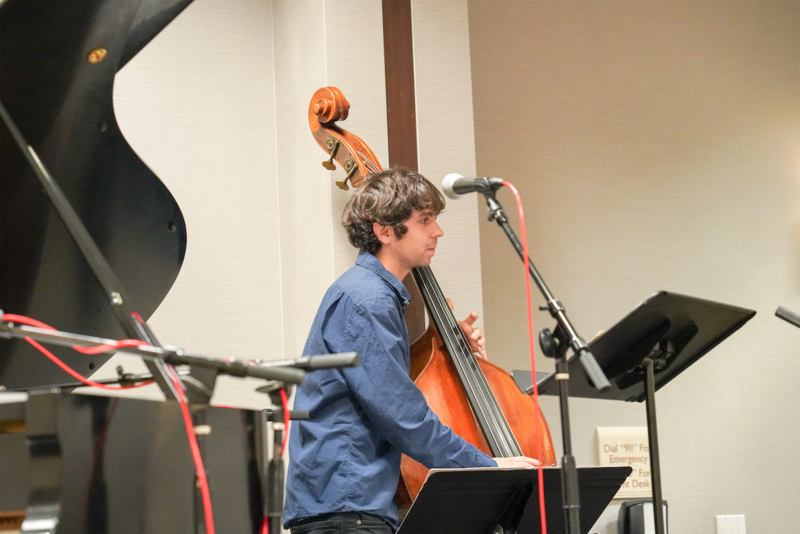 His most recent recording, “Safari Trio” with Brad Shepik and John Hadfield, can be found on the Dazzle Jazz Record Label. 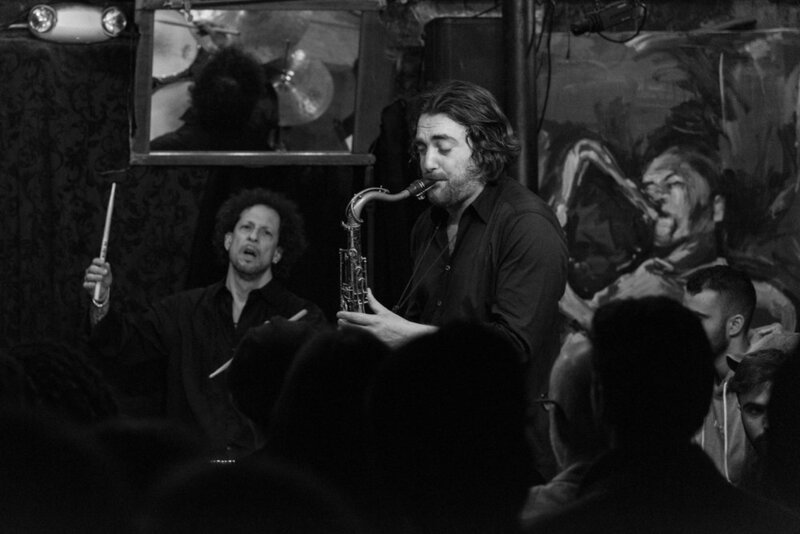 Elan Mehler was born in Boston, studied jazz and classical music at New York University, and resided in NYC, playing music with various ensembles for ten years, before moving to Paris in 2010. 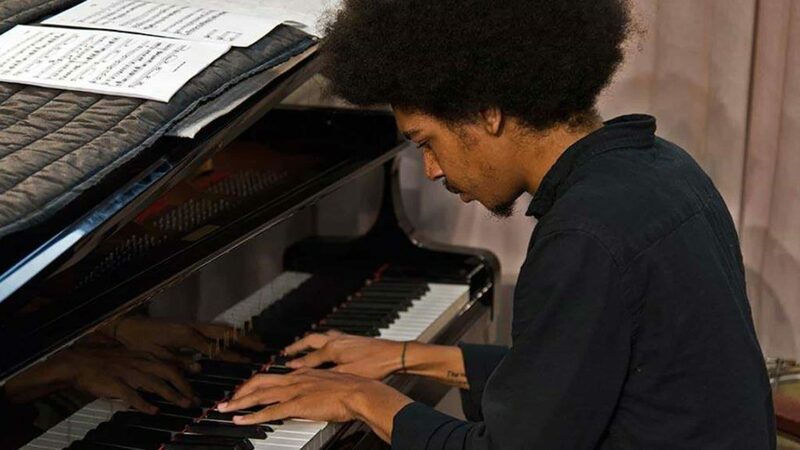 Elan has released 6 albums as a leader on Gilles Peterson’s Brownswood label and Challenge Records, including his solo piano debut, “Early Sunday Morning”, in 2014. 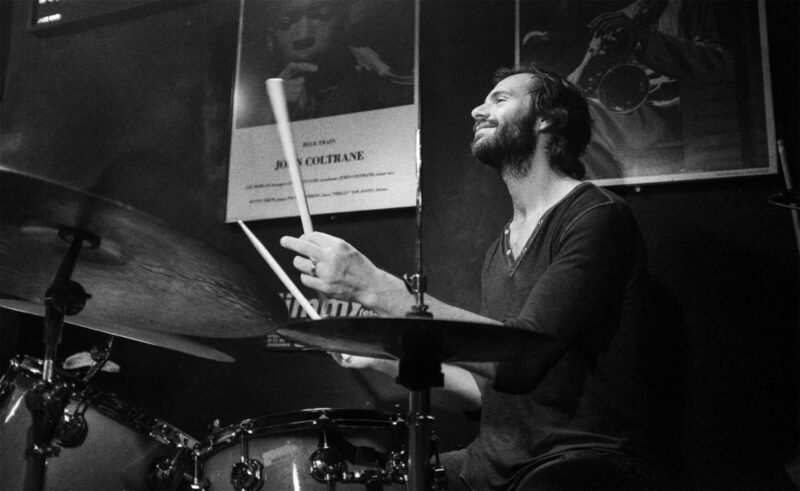 Elan has toured his bands in major festivals and venues worldwide, receiving generous accolades from The Guardian, Downbeat, Jazzwise, Jazztimes, and many other publications. In 2015, Elan started Newvelle Records with partner Jean-Christophe Morisseau. Newvelle Records is a vinyl-only, high end label featuring leading lights from the NYC Jazz scene. Elan’s newest record, featuring Bill Frisell on guitar, “TJ and the Revenge”, is due out in September on Little Lost Records. 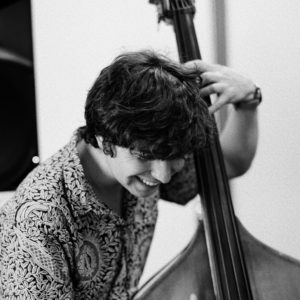 Simón Willson is a Chilean born, Brooklyn based bassist and composer. After graduating from high school, Willson decided to pursue his musical studies in the United States. He graduated from the prestigious New England Conservatory in Boston. As an eclectic and in demand sideman, he has toured with a host of different artists in Europe, the US, and South America. 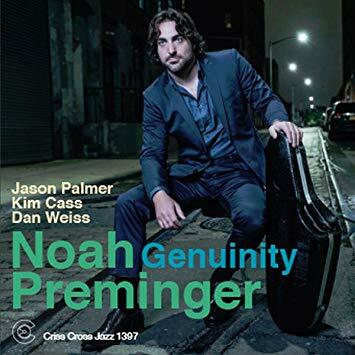 He has worked with a number of relevant jazz figures, such as Ethan Iverson, Michael Blake, Ben Monder, Steve Cardenas, Jim Black, Jason Palmer, George Garzone, and Frank Carlberg, among many others. In addition to his sideman work, he co-leads the bands Great on Paper and Earprint. 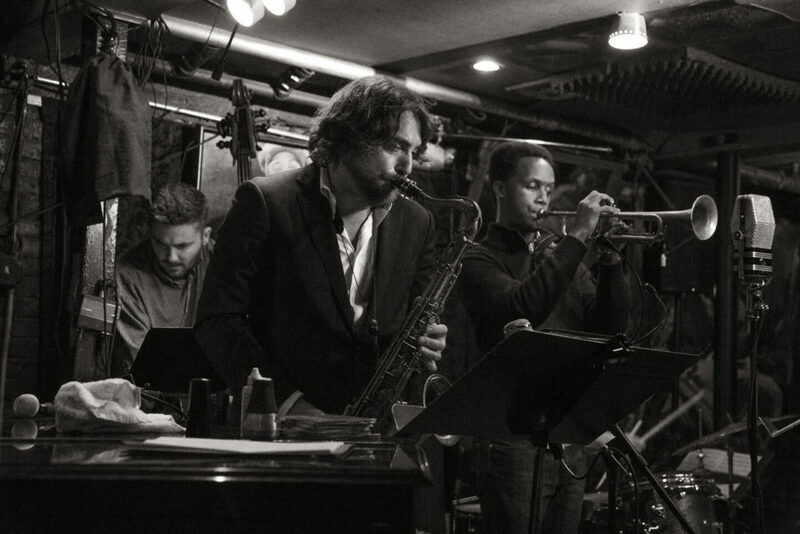 The latter won the “Best Debut Album” category of the NPR Music Jazz Critics Poll in 2016.